Tomorrow I leave for the outback. I am disgustingly excited. Today and yesterday have just been busy busy practical days running around, getting stuff done, packing, and writing essays. I finished my first Australian essay…yay! So that’s all good. But I am really anticipating these next few days. I wish it was possible to get more sleep but its really not considering the flight is at 6am. I honestly have this feeling that it’s going to be one of the most amazing experiences of my life. I hope I’m not hyping it up too much, but I just really feel that way. I am SO excited. I am about to BURST wide open. I can feel it. I know it. Bring it world. I’m so ready. There’s nothing else I can do to prepare…I just need to let it invade me. My first attempt putting a picture up! Yay! 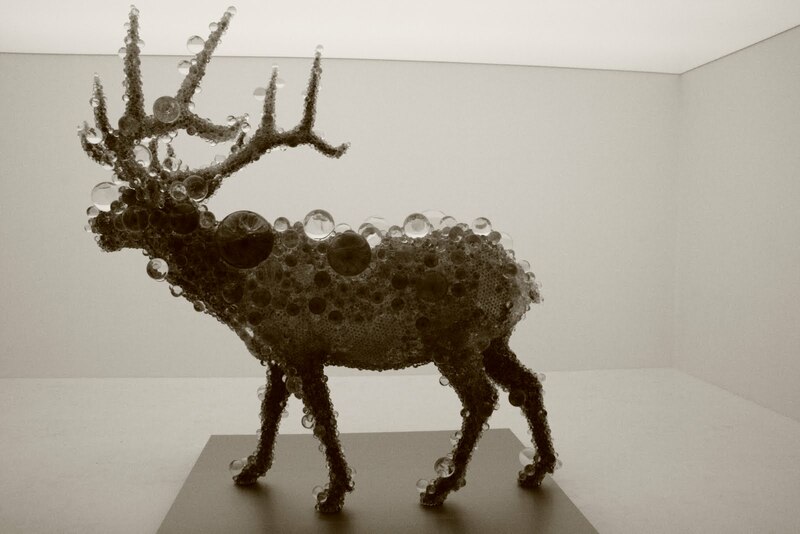 And I can’t get the other pictures to turn out like I want…but the other one is one of my favorite pieces from the GOMA exhibit- reminded me of Mononoke- that’s a real elk covered in glass balls…it’s incredible. Friday March 26- Um. Hm. Pretty sure I talked to Adam in the morning…then off to the GOMA (Gallery of Modern Art) for a second go with my camera. It was honestly the best time I’ve ever had in a museum. The current APT6 (Asian Pacific Triennial) exhibit is MIND-BLOWING. Literally three of the most incredible things I’ve ever seen in a gallery or museum. Aaaand I got to take pictures…which I will hopefully put up soon. Or actually…now. Nevermind they’re not working the way I wanted them too. Maybe I’ll figure it out soon…or maybe I’ll just get them up on facebook. After the GOMA and my sheer bliss…I had to go to a work meeting, bummer…but then I ran back to South Bank to watch Bran Nue Dae…an Australian Aboriginal musical…watched it from the outside…but there was some drunk guy next to me that kept making comments so that was annoying but it was fully worth watching, very interesting. Walked around South Bank got Turkish Delight :)…then came home and hung out in some flat…Em and I were going to go out but I was way too exhausted…then I finally made it to my bed…called Adam I think and then paaaassed out with lights on and computer open next to me and everything…pretty sure it was all like that when I woke up too. Adorable. Lovely day. Saturday March 27- Kristey’s Birthday. I realllly didn’t want to go to work. I was so exhausted. But I went…and was exhausted. We didn’t have much luck at all. I was pretty lazy. Had a lovely time swinging on some swings though. And I’m pretty positive I’m going to quit. But then I discovered Kangaroo Point and the look out and it was amazing and I have to go back. The first time I saw Brisbane from that lookout was awe-inspiring. Oh and the Mormons, they tried to convert me…fantastic. Then I walked from Kangaroo Point all the way down, across the river to the Botanical Gardens to try to find the riverstage to watch a free ballet! But then it wasn’t there…an old man guided me to the riverstage but there was no ballet there. So then the old man walked me back to where I could catch a bus and along the way showed me all sorts of birds and explained trees and buildings…it was cool…and he was the guy that I ran into the next day…so strange and cool. But then once I got home I looked online and it all said that yes, that’s where it was supposed to be…so I went BACK to the city and ran back there and checked it out and it was STILL not there…so then I ran back..but at least I got a nice good run in…And I never run. So there. Then it was a gender bender party on campus…I swapped clothes with one of my flatmates (creepily named Peter) but then by the time we actually got there…it was just about ending…so then I went back home and just passed out. So lovely to sleep. Ack! Did I forget about today!? I just left facebook…for just a little while…so I can focus things and such. And really immerse myself in being here. But I’ll still have my e-mail and this blog and such…so I’ll still be reachable…just not consumed. I’ve been making a lot of lists recently. I’m going to try to sort through them a little bit. Mostly all are written on scraps of paper here and there…so I’m trying to consolidate them all here. Some of my own dreaming. I’ve been writing a lot of scraps of paper when I’m without my journal…so this is all trying to put those little bits together. I’m actually not a city person- they box me in- I want to run free in the open. I want to travel the world desperately. I don’t want to have to let go or give up my dreams in any way. That might be one of my biggest fears. I don’t want to dissolve. I never want to get too far from myself. And maybe that is somehow connected to God. I want to strive and search for inspiration always. The dots will always connect if you are patient enough. I never want to get off this train. I never want this journey to end. I do not want to have a normal life. I want to join the peace corps. Or work on a farm, or save people. This is purely selfish me time, so let it be that way. I hate the suburbs. But they are part of me. I love the Aussie lace architecture. I may want it in my house. I want to give myself wholly to love and never look back. I want money to evaporate. I do not want to forget this person that I am. I think it could be the worst thing i could do. I want to really live before I settle down. I don’t want to plan out my life, but I do want to dream. I want a beautiful, woodland, natural, colorful house. I want to live free and wild always. I want to have a divine life. I want to never be normal. Not in a rebellious way, I just want to have a fire. I don’t ever want to dry out. Never become dull. Why should I start now? I’ve changed now that I know you can lose yourself. So scary. I want to be Kathryn Petersen. And Julia Ohm. And David Bush. I will never give in. And how odd, I feel as if i always knew these things, but only truly for the first time now. Re-revelation. Open space, large windows, like on Battle Rd. Or a forest, or both. That list probably came about from walking around to 60 houses a day selling solar panels- really made me excited to own a house of my own. This journey, for me, is about fearlessness. I just left facebook…had Jordan change my password…for a just a while…and it was incredible. Freeing and relieving and empowering. Everyone should try it at least once. I found it wasn’t even that hard…once I actually began the process…I just wanted to get it away. Like it’s a virus…not that everything about facebook is inherently evil…but for me, it really and truly is a serious addiction and that was something I really needed to do. For myself. Just like this. To face your fears, and just do it. To leap off the edge into freedom. And just to know that you can do it. And that changes the landscape of things once you come back. Knowing your strength. “You do your thing and I do my thing. Then I got two rolls of sushi for 2.50 and ate them on some south bank rocks and was extremely happy. Then I caught the city cat to the Botanical gardens…who knew you could do that? Soo cool. Walked around the gardens and ran into the same man I met last night and he told me about Mt. Coot-tha and how to get there and…it was actually a rather magical moment…not sure if I can explain why. Then I got myself rather lost, got to have an lovely walk by the river, but was running late for max…then I literally sprinted across town while the sun was setting and it was beautiful….the perks of Brisbane being a tiny city…I can get anywhere relatively fast. I like this. Then Max and I went to the West End Film Festival and it was soo lovely. So cool. So indie and artsy and real grunge. We walked through this bar into the back and it suddenly felt like we were in Europe, I wish I had a camera. The clouds were turning orange and there were these crazy old men sitting on sculptures of magazines playing the violin and the guitar, and lighting fixtures made out of CDs and seats made out of cardboard…and yet it was still Brisbane chic and classy, not sketchy at all. Then we took the long way home, taking the city and the moon in…through West End, through South Bank…pausing to wade in the pool…then took the bus to a little outside campus and had a long walk through the forest back to the flat…it was quite a long walk, and we talked the whole way…I felt like I had such a spilling…like I hadn’t talked to anyone in such a long time and I had so much to say. I explained to him the 4 seasons. What an incredible, mind-blowing experience to have to explain the seasons to someone. Made me ache for home, made me fascinated that I actually live in a place where the landscape changes so drastically like that, and fascinated that I’m in a place where it doesn’t. It was very good for my own reflection process to be able to bounce all of that off of him…and to have those elementary things become incredible through another’s eyes. And to yourself. I’m learning so much everyday just by little things like that. Wrapping my head around the seasons. Then we came home and made a glorious and tasty pizza together. Super delicious. Then we watched the Mighty Boosh, excellent…and FINALLY FINALLY started catching up on the Office…watched the Delivery Part 1 and 2 and literally died with joy. SO perfect. Especially thinking about Mia…it really is incredible. Everything seems incredible these days. And now I should head to bed a little early…I am SO exhausted in such a good way. Really really happy…I think that could be the absolute best thing. So I am very excited. I’m starting to give in to patience finally…and everything is working out just as it should, it seems. Nothing in Australia is dirty or sketchy or ghetto. I don’t ever see homeless and the class system seems to be almost non-existent…it really is an ideal country. So incredible. I actually had a gorgeous and very full weekend in Brisbane…it’s a beautiful city and I love it. LIFE IS AMAZING. LOVE IS AMAZING. This world is amazing. 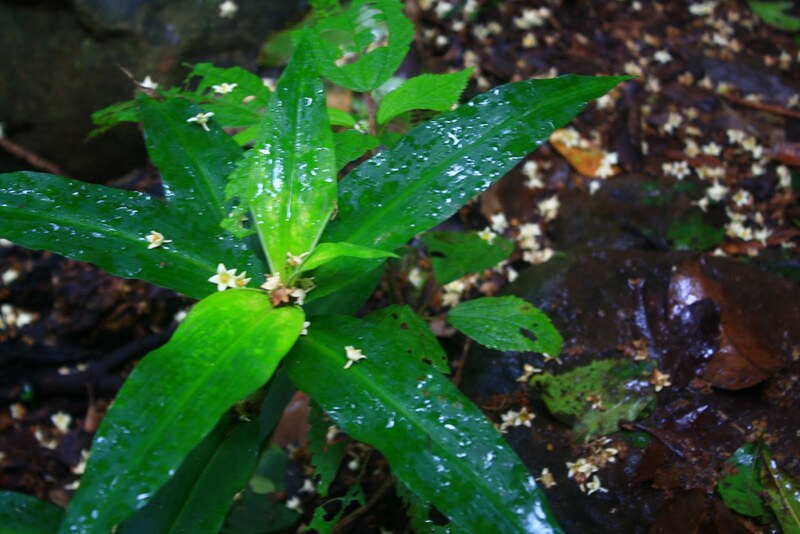 The world that I live in, my world…it’s growing and expanding and blossoming even without the change of the seasons. Incredible. Everyday is NEW. There are moments where I can actually feel myself connected to the path. Where guidance seems to pour from all angles…and I can actually feel myself connecting the dots. It’s an incredible, awe-inspiring, devastating feeling. I had a revelation today. I NEED to write about it. It’s 2am…but soon…I NEED to write. I need more time in a day, is what I need. The pain is what it’s ALL about. That’s the only way I can justify it.